Marvelous Pursuits is a setting of Barbara Goldberg’s poetry cycle of the same name, in a scoring for vocal quartet and piano 4-hands. Stimulated by a sentence about a man with two mistresses in an eighth-century Japanese Pillow-Book, the poetry is a post-modern take on love and desire. It shows them to be partial, temporary, byzantine. It plays with the biblical command not to covet thy neighbor’s wife, with a man desiring his own wife only when someone else displays interest. The cycle is by turns whimsical and barbed, delightful and treacherous as it tells the story of a man who gives up his two mistresses and returns to his wife, suddenly dear because of the piano tuner’s desire for her. 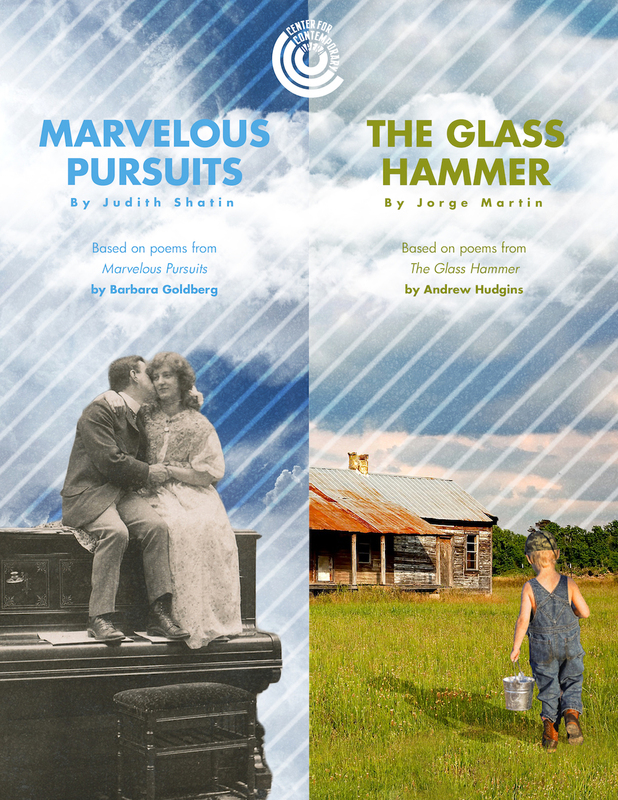 The Glass Hammer is a cycle of 15 songs for baritone and piano, (1995-7) with poetry by Andrew Hudgins focusing on boyhood and coming of age in a deeply rooted southern military family. Told in vignettes of childhood rebellion we travel the peaks and valleys of first love and untimely loss through the eyes of a boy.